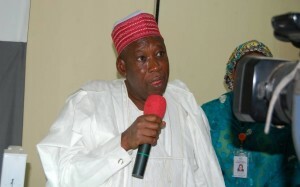 Kano state is located in North-Western Nigeria. The sate was created on the 27 of May 1967 from the former North central state. The sate is famous for its Commercial activities and it is also a highly populated state in 2011 an estimated 11,058,300 people live in the state which makes it one of the most populous state in Nigeria. The people in kano state a predominantly Hausas and Fulani but due to High number of Igbos living in the state Igbo is also a common language spoken within the state. Natural Resources: Tin, Columbite, Casseterite. Agricultural Resources: Wheat Groundnut, Cotton, Agriculture is the major economic activity and offers employment to more than 90% of the people. Kano is well recognized as a center for traditional arts and crafts such as leather work, weaving, pottery and wood carving. Exquisite Kano leather works are exported to Europe and North America. Popular Markets: Kurmi, Sabon-Gari and Kantin-kwan (all in Kano municipality). Points of Interest: Emir’s Palace, Baturiya Birds Estuary, The Ayanduwa Fishing Festival, Ancient City Walls and Gates first built about 900 years ago. The Gidan Makaman Museum, Koofar Mata Dyeing Pits–believed to be the oldest in Africa, 35 Acre, Kano zoological Garden at Gankum Albaba, Kurmi Market. Kazaure Rock Ranges. Famous Tiga Dam.